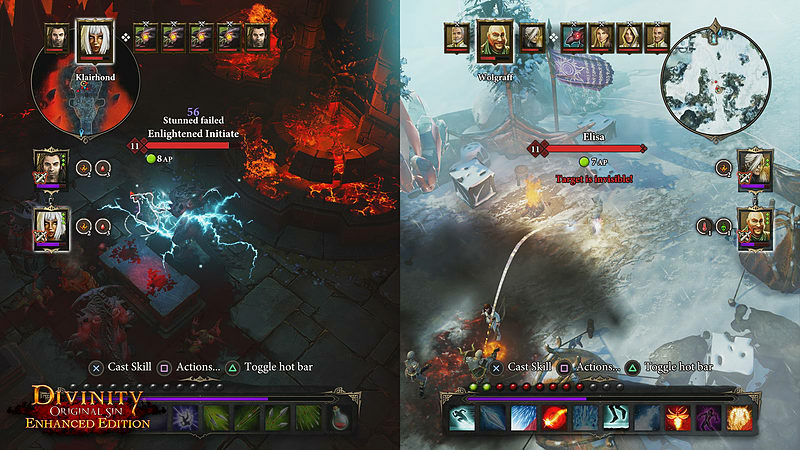 Divinity Original Sin: Enhanced Edition. 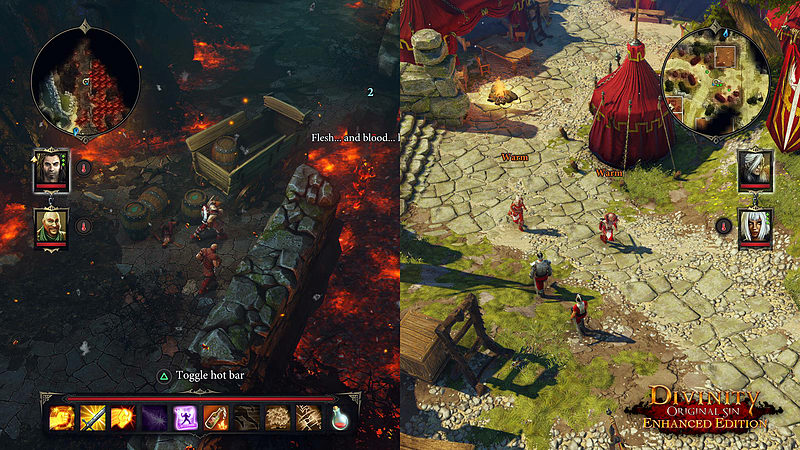 as well as a plethora of new content; quests, combat-styles, locations, changes to the crafting system and story situations breathe new life into the already expansive world of Rivellon. 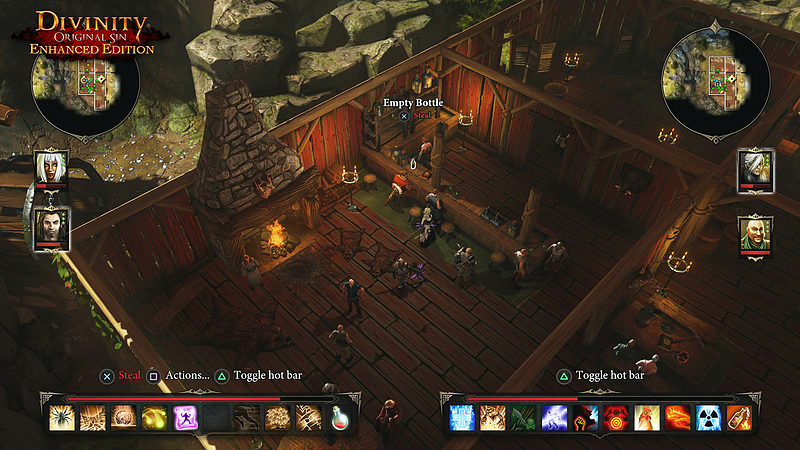 Easing a new generation into the world of classical RPGs, Original Sin: Enhanced Edition features isometric, party-based gameplay, turn based combat, and hours of fully voiced and remastered dialogue in a story that will have you embroiled in a fantasy world of free exploration thanks to a new split-screen friendly UI. 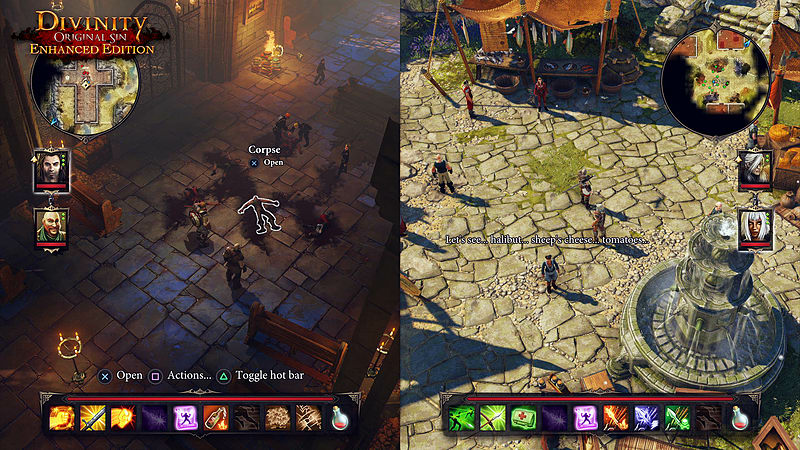 A whole host of new features arrive with the Enhanced Edition and will be revealed over the coming months. 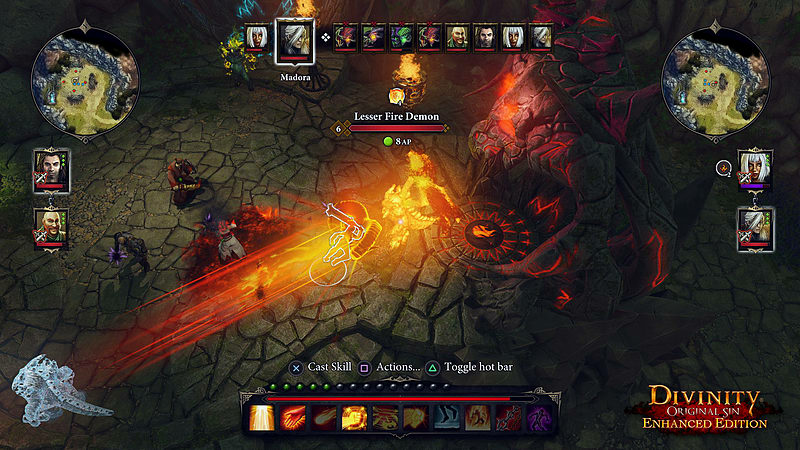 Sneak, stab, trip, poison or explode your way through Rivellon in this extended and enhanced version of 2014’s hottest PC title, now for PS4TM and Xbox One.